Bridal Fashion Week, where several designers unveil their wedding finery for the upcoming fall, just drew to a close here in New York City. 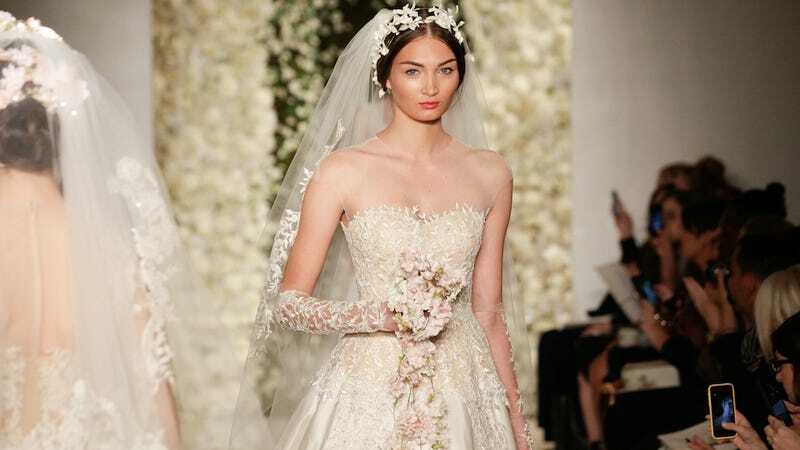 Take a peek at the styles you'll be seeing at weddings for months to come. Piles and piles of tulle! Flower crowns! Hemlines that would make a showgirl blush! Coming soon, to a Say Yes to the Dress episode near you. I promise somebody will order that one on the far right, but covered in Swarovski crystals.